These pair were both workers on Hawksby’s estate. Having worked for the Hawksby’s for many years, these are both fiercely loyal to Their master. They are trusted by Lord Thomas and are often seen accompanying Rook on his more dangerous missions. Marleyman is a skilled trapper, and capable of living off the land. Richard Drake is often nicknamed pauper Drake because of his refusal to wear shoes. He was orphaned at an early age and brought up on the Hawksby estate by members of the household. 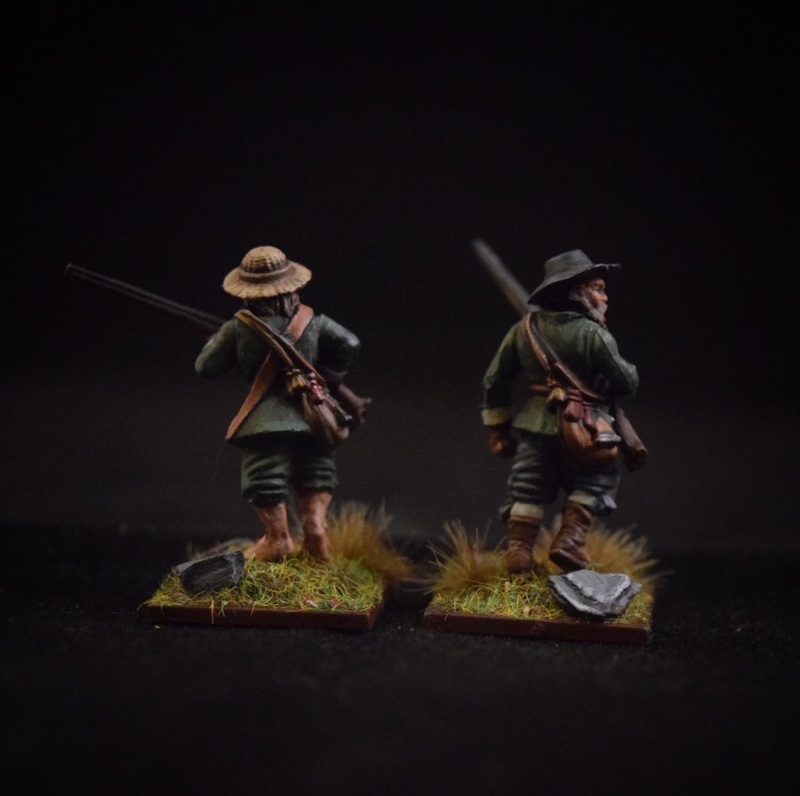 Both miniatures are from Warlord Games Pike and Shotte infantry sprue. Jeb’s head is from the Gripping Beast Dark ages Warriors set and his arms are Bolt Action plastic arms. 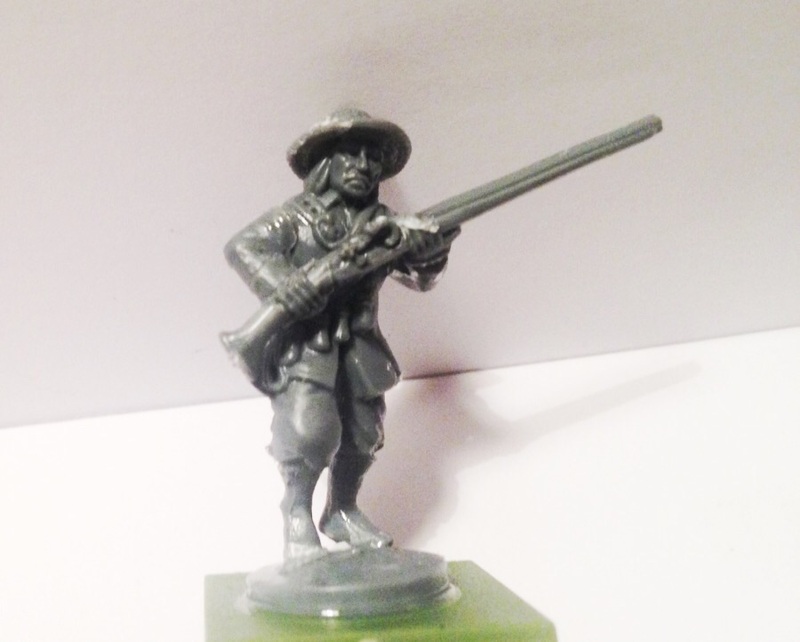 Drake is a standard musketeer with his feet and ankles swapped with some from the Perry Miniatures Mahadists boxed set.